This story was written by Momma-dar              How different would Harry be if he was taken from the Dursley's when he was five and raised by his father and the Hogwarts staff at the school. And what is the big shock that Severus gets after he brings Harry home. Chapter 7: What is it that you wanted to tell me? Harry Potter is most definitely having a strange summer. After losing his godfather, Sirius Black, this summer is bent out to be the most gloomy summer of his life- and its about to get even worse- Severus Snape and Harry Potter just might be more connected than they may know. A secret, woven into the past, leaps out at the most unlikely of times onto the most unlikely people. How will this secret rock Harry and Snape's world as well as the world around them? Will Harry be successful against the steadily powerful Voldemort? Only time will tell. Harry Potter, the Boy Who Lived. How Severus Snape hated him. Always showing off, too much like Potter. Why can't Severus find an inkling of Lily in him? Pompous, a brat, and adored by his fans. But when Harry Potter faints in the middle of his assigned detention and Snape finds out that the boy had cancer, everything changes in the blink of an eye. Harry Potter can't seem to catch a break. Forced to stay within ten feet of the man who seems to hate him even more than Voldemort himself, Harry must struggle to survive - if not physically, then definitely emotionally. But sometimes in the hardest of times, one can learn things that were never imagined possible. 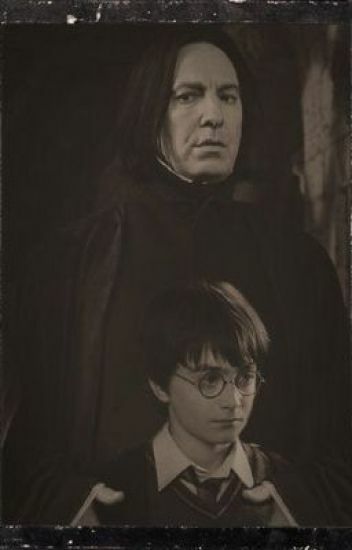 Can Harry and Severus learn to look past the masks and see the true heart behind it? 11 yr old Harry misses the Hogwarts Express. Snape is sent to find out why. What he finds changes any preconceived notions he might have had about the Boy-Who-Lived. AU, manipulative!Dumbledore, DE's, Voldy, but no horcruxes. Harry can't seem to focus. His teachers blame laziness, but what if it's something else? And why is Severus Snape the only one who notices? Four years after James and Lily's death the truth is discovered.